Today, we headed up to Dalby Forest to take part in a very special, once-in-a-lifetime (possibly) sporting event – The Stick Man Games! Who doesn’t love the story of Stick Man by Julia Donaldson? 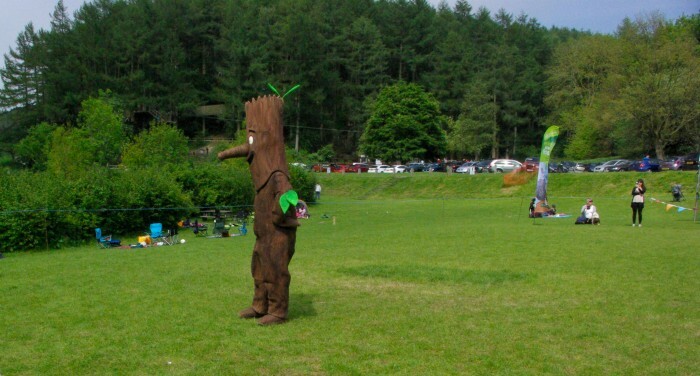 For one day only Stick Man himself was going to be at Dalby Forest in North Yorkshire. We jumped at the chance to meet him. It’s been a while since we’ve been to Dalby Forest and haven’t yet done the Stick Man trail. 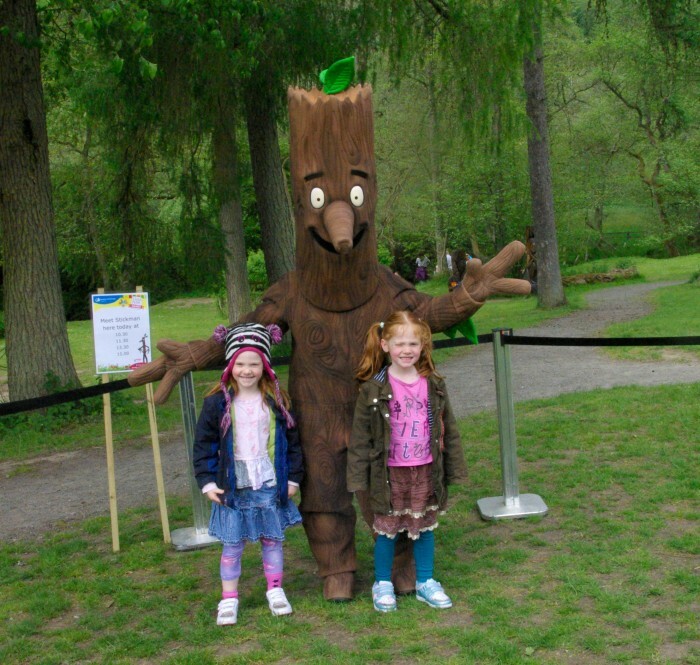 We did the Gruffalo Trail at Whinlatter Forest and the girls loved it, especially the younger two, so we decided to have an afternoon out. 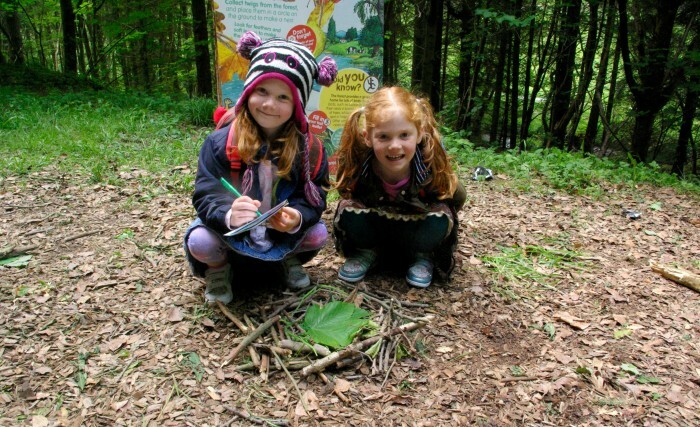 Dalby Forest is owned and managed by the Forestry Commission who look after several forests around the country. It is brown signposted and easy to find from nearby Pickering and Thornton-le-Dale. 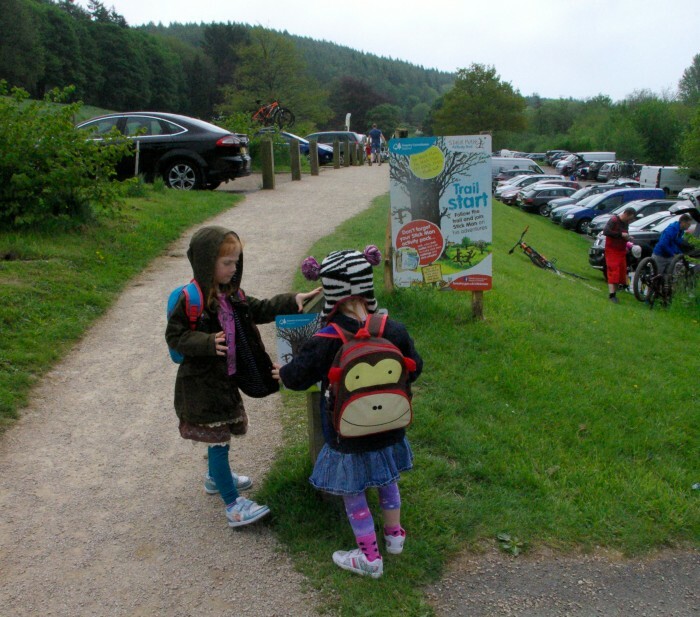 It costs £8 to take a car into Dalby Forest, which includes your parking. Toilets are free and available at the visitor centre. You can picnic here – and there are BBQ points too! Our first stop was to walk over to the visitor centre activity area. We could see Stick Man Games flags so we went to the gazebo to get some info about the day’s activities. We were told Stick Man would be out for a meet and greet in less than 15 minutes, so we hung around at the nearby play park for a while. He came out bang on time and we got ourselves at the front of the queue for the obligatory photo. He came out four times today, which I imagine will be the same for future Stick Man Games Days. Once we’d met Stick Man, we grabbed some lunch at the cafe in the visitor centre, which was nice but priced as you’d expect. The queue was also very slow considering it was still before noon. Plenty of tables though, and it was nice to sit on the outdoor terrace to eat. First time we’ve been able to do that this year! 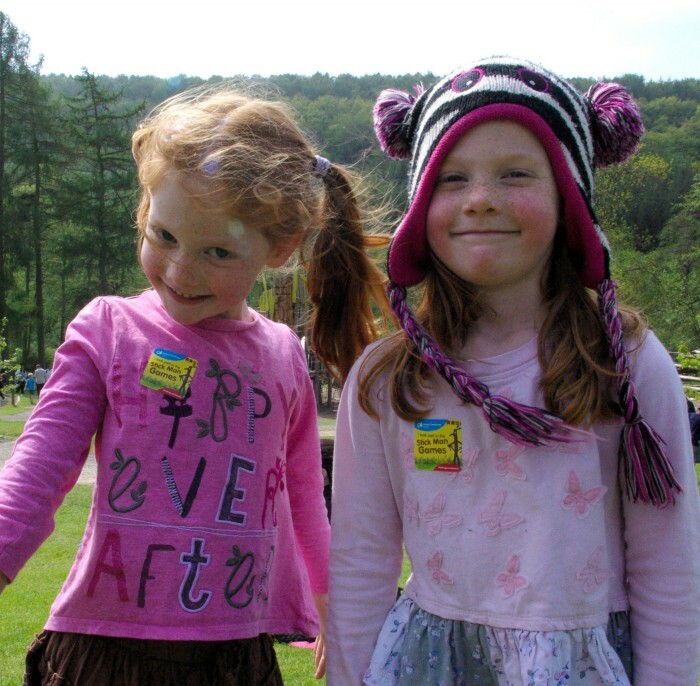 If you’re a picnic fan, there are lots of picnic areas in Dalby Forest. Quick toilet stop and we bought ourselves a Stick Man trail pack from the info desk for £3 – this contained an activity sheet, a pencil, a crayon and sheets (for back rubbing) and some brown pipe cleaners which you may need for the last activity. The start of the trail was a short walk from the visitor centre – the path crosses the main access road so take care! Following the route was easy. It’s a bit confusing at first as the start takes you past a sign to say you’ve finished but once past this point you just follow the path and look for the signs with Stick Man on them. The route was 5k and took just less than two hours – the guy on the info desk said it would be between 1 and 2 hours, which is about right. It was fairly easy gravely path, with not too much incline. A buggy would be fine though if you have an off-roader type, I’d take that rather than a city stroller. You can also cycle the route if you prefer. Scootering isn’t practical. There are no toilets en-route, but there are lots of trees! 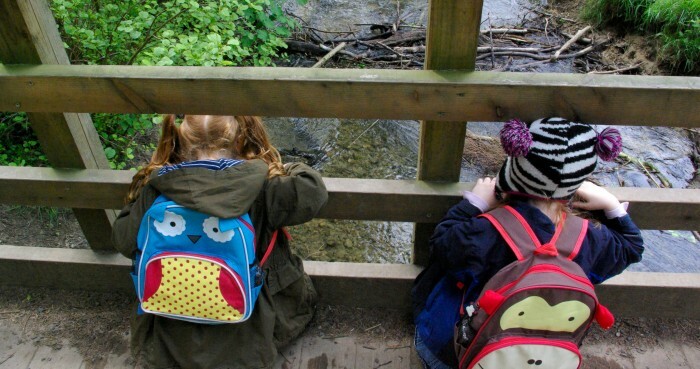 There is a stream at Dalby Forest so take care with your little ones. The trail was nine activity boards, which tied in with the sheet from the pack. You had to answer questions or do things like make a nest from sticks. The activities tied in nicely with the Stick Man story. There were also a few character boards to spot and tick off your list. You’ll also see the Gruffalo and the Gruffalo’s child (not the real ones!) as a bonus prize. Nine activities in the bag, and we headed back to the playpark to have a play before the last race at 3pm, which was to be the popular Stick Man Chase. The girls love this playground. It’s huge and has a great selection of apparatus. They spent most of the time going round and round on the wood and rope roundabout. Here there is also a Stick Man activity trail with equipment to play with, such as noughts and crosses made out of sticks, and hula-hooping. Share your best photos on Facebook and Twitter with with #stickmangames for your chance to win a Stick Man Games goodie-bag! This whole area was very busy by now – I think Stick Man was going to have his work cut out come 3pm. At 3pm, out he came to a flurry of excitement. Dozens of children gathered as the leaders explained what would happen. Children were told to be nice to Stick Man as he was easily snapped. They listened. Mostly. Off he went! Seconds later he was pursued by a mob of children of all sizes. It was over in a flash. Stick Man hi-fived as many children as he could reach, and then they all got stickers. 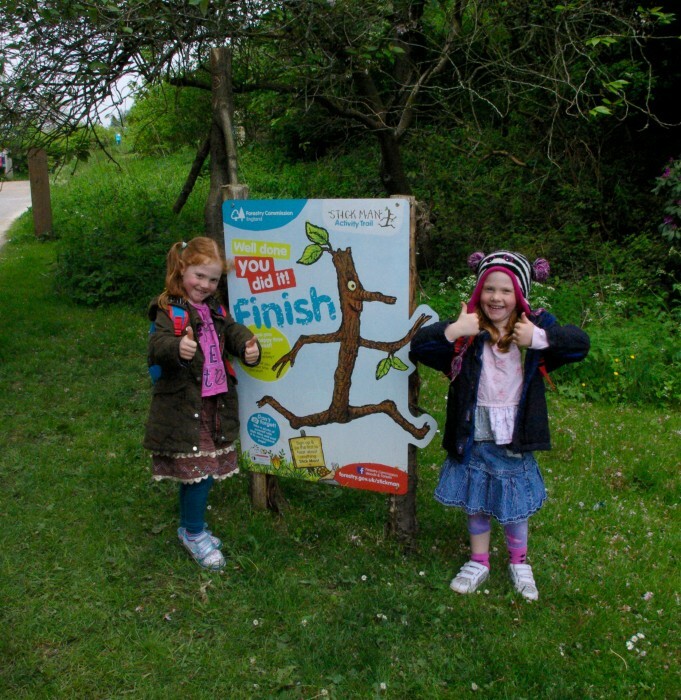 It was simple but very well done and my little Stick Man fans were super chuffed to have taken part. We headed off home happy, tired, and a little bit grubby. Sounds like a good day to me! 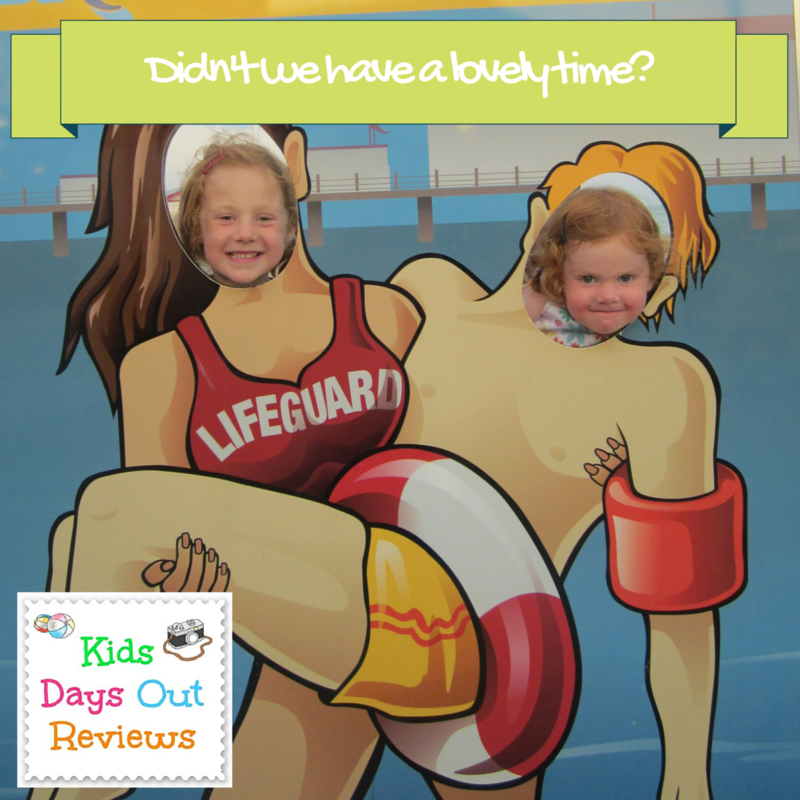 If you want to join in with Stick Man activities, there are Stick Man days coming up…. There are Stick Man activity areas (self-led courses) running throughout June unless otherwise stated at….. 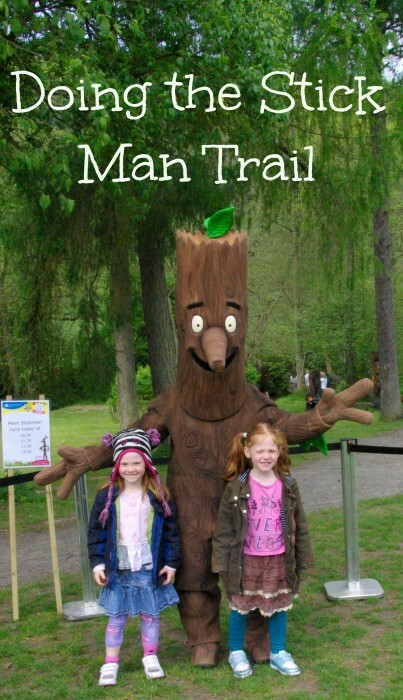 There are self-led Stick Man trails at…..
For more information, please visit the website of the Foresty Commission where you can also download your free Stick Man activity pack. 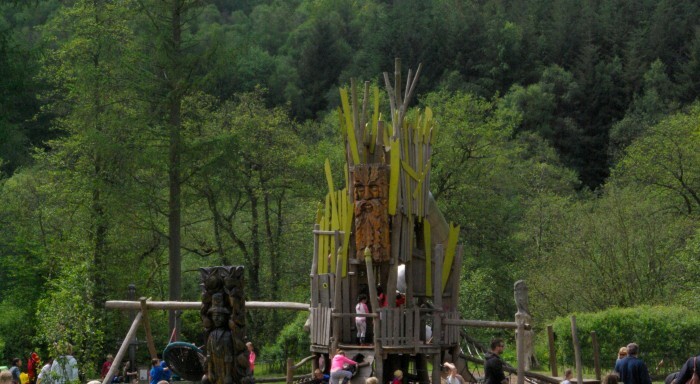 Other things you can do at Dalby Forest include Go Ape! 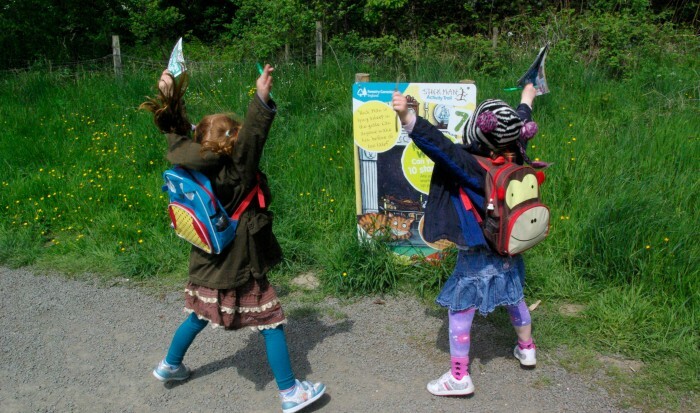 I love this, what a wonderful opportunity to visit the forest and get involved with the classic tale of Stick Man. It is such a great book to create activities around, we have a copy of the book here and often use it as the base for our activity hour. The real stick man looks very impressive and the race game at the end of the hunt sounds great fun with everyone a winner.